Our Adams, location was founded in 2007 by Michael and Elaine Berry. We have been growing ever since then, acquiring more companies and taking on more clients than Mike and Elaine every dreamed they would years and years ago. As Mike and Elaine reached retirement years, after working in the insurance field for over 40+ years, they decided it was time to step back a little and sold the agency to Jesse Schable in 2016. They are still active in our senior products office. Suite A is our Main Office. This is where most of our clients come to meet with our agents, sign up for their policies, and make payments. Our office personnel that are based in this office are Jesse Schable, Jeffrey Schultz, Kari Elkington, and Shelby Dehmlow. We are a full service agency writing all lines of insurance. Suite G is our Senior Products office. 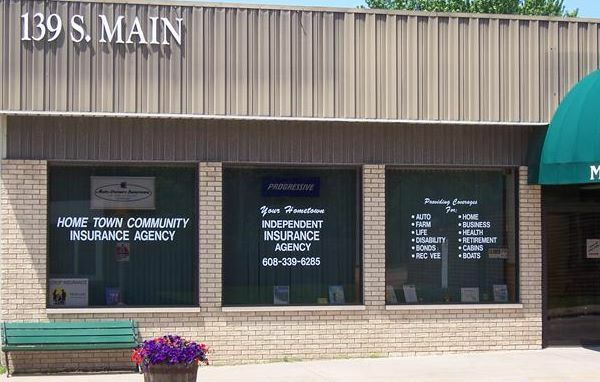 Located down the hall from our main office; this is where our clients that need Medicare Supplement policies and other Senior Insurance Products go. They meet with Mike Berry who is our specialist in the field. Elaine Berry works as his secretary. Appointments for this office are by appointment only.